Cooking is designed to equip students with the knowledge and skills to choose their foods wisely and ultimately learn how to take care of themselves in the future. The programme takes young children (CK1, CK2 and CK3) on a sensory journey to discover new tastes, textures and smells of different foods. Little Chefs are given plenty of opportunities to practice their language, motor and cognitive skills through participation in food preparation and play activities. For older children (CK4), Cooking By Myself lessons also allow opportunities for students to learn how to organise themselves, follow instructions, work together in teams, lead others, work safely and store food properly. They also learn the importance of good nutrition which is vital for a long healthy life by gaining knowledge to make healthy food choices every day over the sugary and over-processed foods that are an occasional indulgence. Eating together is an important aspect of family life and during class there are specific activities to reinforce this concept. Sharing the experience of learning, food preparation and eating the prepared dishes together encompass an integrated family experience that promotes the ideals of a cohesive family unit. Students also get to learn about table etiquette. The programme takes place in our purpose-built professional kitchen featuring five double stations, each equipped with stainless steel worktops and Bauknecht induction hobs for a truly authentic experience that aims to bring out the best in children’s abilities through activities appropriate for their age and skill level. Seasonal Classes (SC) run occasionally or during festive seasons and enrolment is offered on a class-by-class basis. Seasonal classes are particularly relevant for children who wish to experience Cooking but may not be able to commit to a full block programme. Special recipes inspired by our students are featured ranging from healthy treats like our Vegan Apple Snail to all time favorites such as Cool Pizza School. 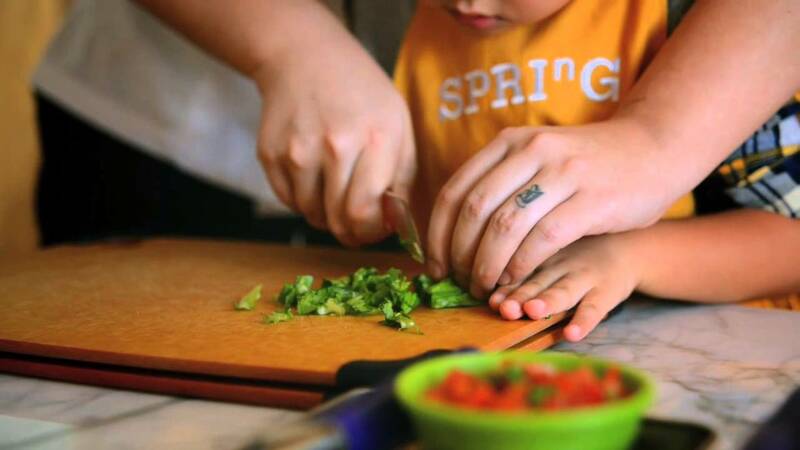 Cooking is suitable for budding chefs aged 18 months to 6 years. Our dedicated and professionally trained staff teach SPRING’s unique curriculum.